A current Registered Nurse at Madonna Rehab Specialty Hospital in Omaha, Nebraska, Anthony Portillo brings to the American Health Council 3 years within the healthcare industry, including 2 years in his present role. With expertise in Nursing and Rehabilitation, Mr. Portillo joins the American Health Council as a “Leader in Nursing”. 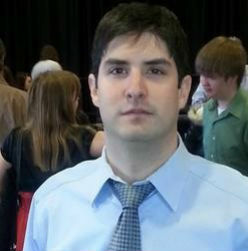 Graduating with his ADN/AS in Nursing Science from Metropolitan Community College (2014), Portillo became involved in his current profession due to coming from a line of healthcare professionals. His mother was a Respiratory Therapist and his aunt worked as a Registered Nurse. At Madonna Rehab Speciality Hospital, Mr. Portillo engages in day to day responsibilities as an RN, including treating incoming ICU patients, and Acute Patient Rehabilitation, which includes Dialysis, Ventilation, and LVADS (Left Ventricular Assist Devices) for patients awaiting heart transplants. Apart from these, Mr. Portillo is also Certified in Advanced Clinical Life Support. Professional awards and honors garnered by Portillo include an induction to the Dean’s List at Metropolitan Community College and the Way to Go Award. In the next 5 years, Mr. Portillo plans to transition into the field of Occupational Health. He enjoys playing the guitar and spending time with his dogs during his spare time. Established in April 2014, Madonna Rehab Speciality Hospital is a state-of-the-art rehabilitation hospital providing various amenities, which include a warm-water therapy pool, a five thousand square foot therapy gymnasium, speciality equipment/technology, a gait and motion lab for Rehabilitation Research, and much more. Due to their commitment to excellence in the specialty of Rehabilitation, Madonna Rehab Speciality Hospital has been awarded the Vapotherm Center of Excellence designation for the use of Vapotherm’s technology in ventilator and tracheostomy-wearing protocols. Additionally, the Hospital has received the Passy-Muir Center of Excellence for the standard of care for our pediatric and adult ventilator and tracheostomy tube patients.